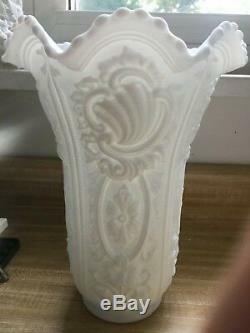 9 3/4 tall frosted satin milk glass vase by Imperial. EXCELLENT condition without damage or repair. 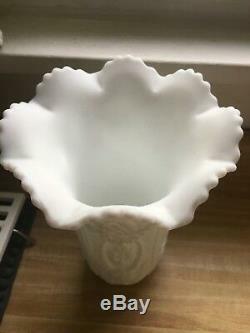 The item "Antique Imperial Milk Glass Doeskin Scroll and Flower Pattern Vase" is in sale since Friday, January 18, 2019. 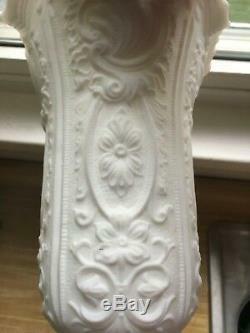 This item is in the category "Pottery & Glass\Glass\Glassware\Carnival Glass\Vintage (Pre-1940)\Imperial". 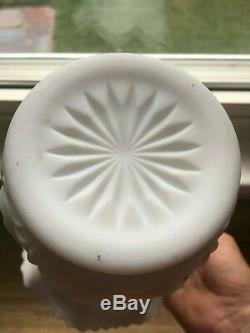 The seller is "diana_huntress" and is located in Cincinnati, Ohio. This item can be shipped to North, South, or Latin America, all countries in Europe, Japan, Australia.